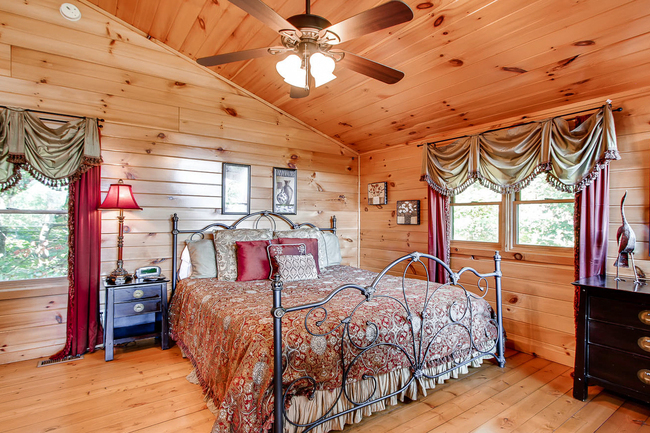 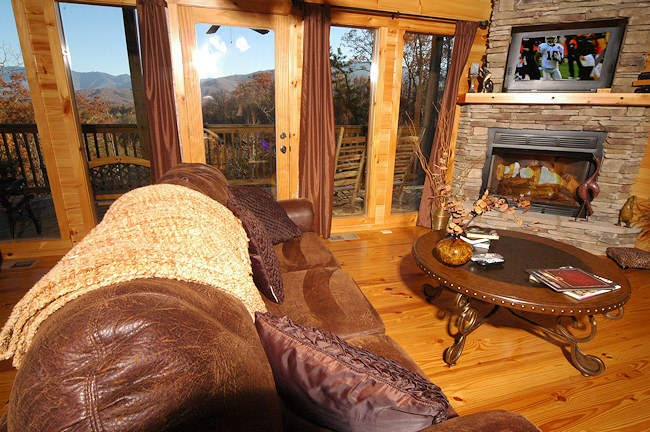 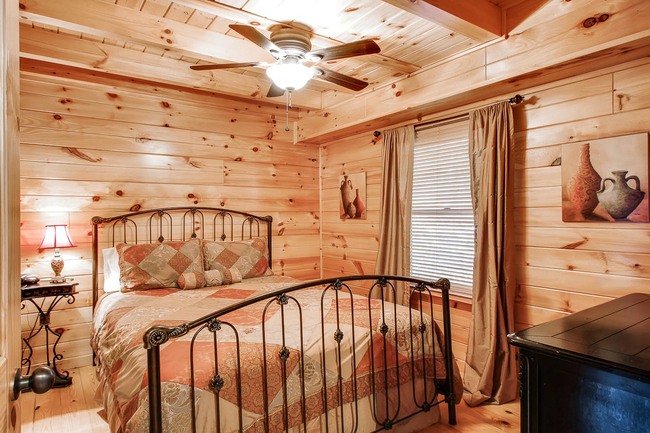 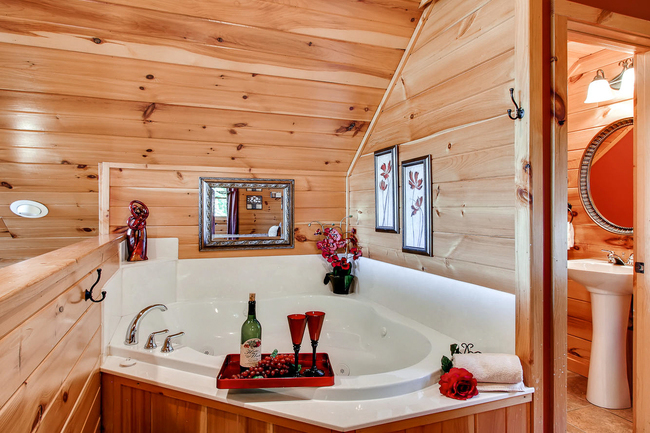 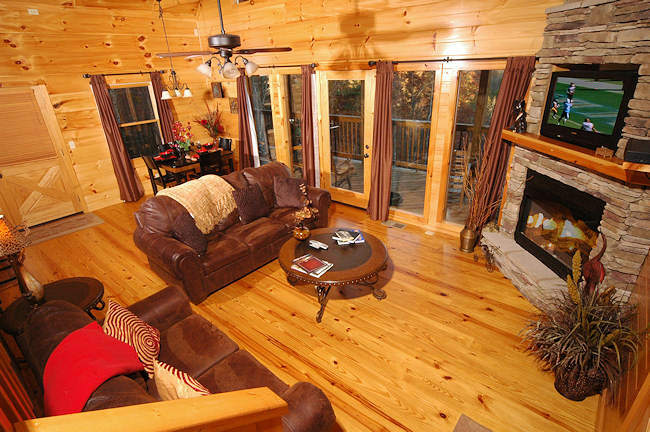 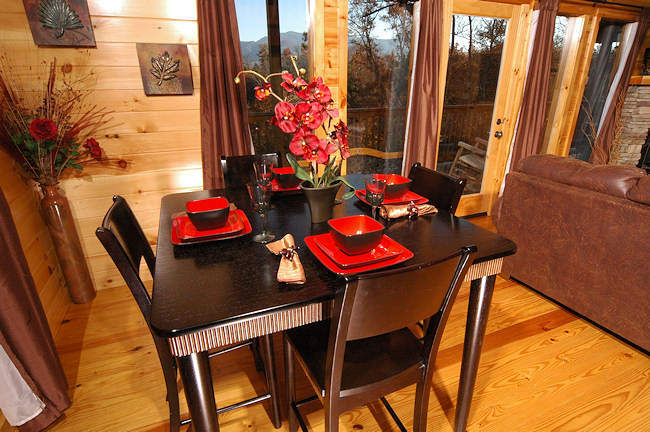 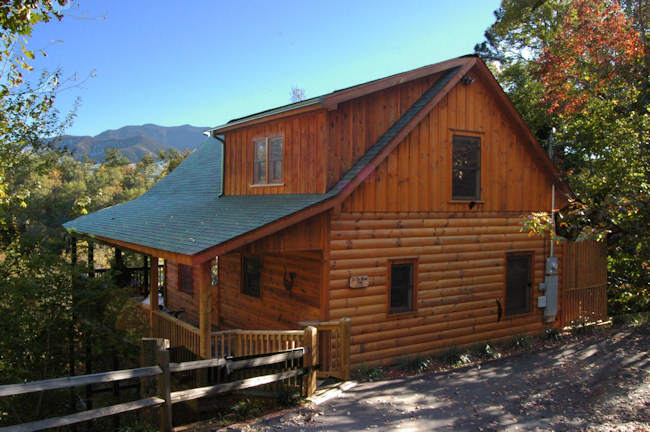 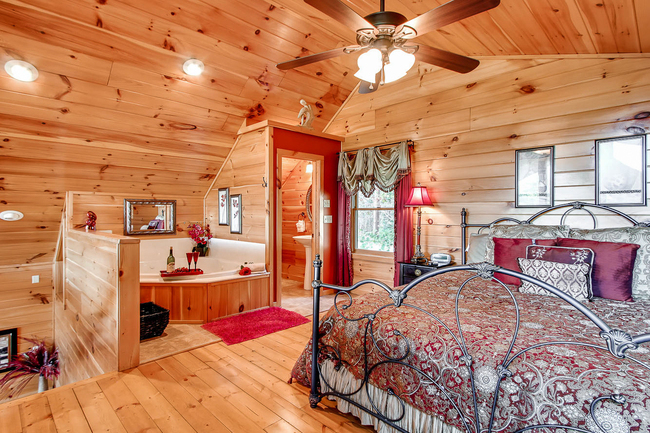 In The Mood is a newer, 3 story roomy log constructed cabin which features 2 bedrooms and 2.5 baths.This cabin setting is very private with a spectacular view of Mt.Leconte. 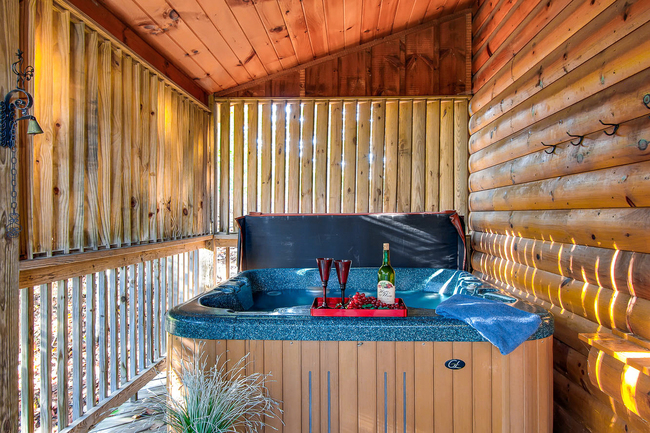 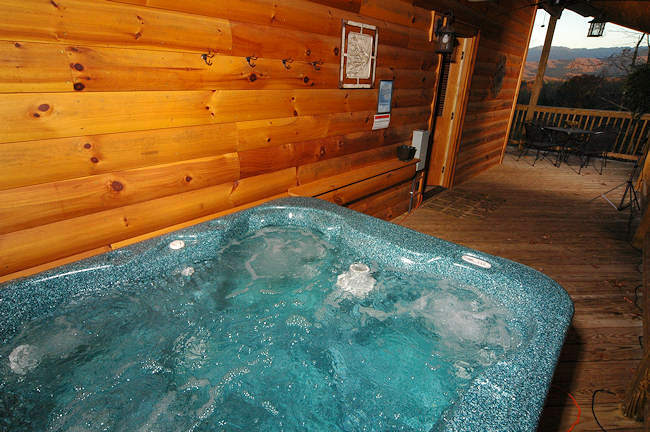 The 4 person hot tub is easily accessed and extremely private. 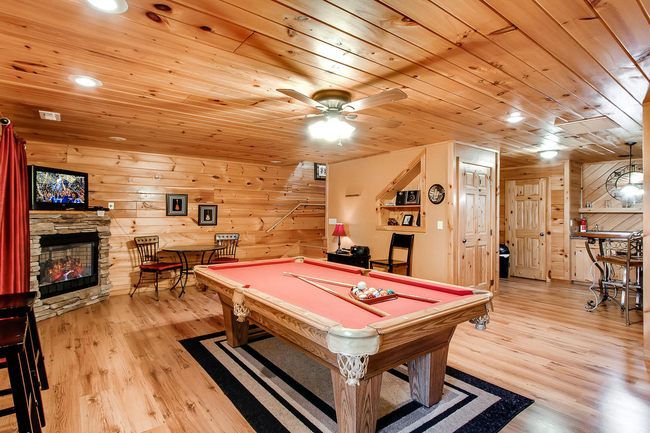 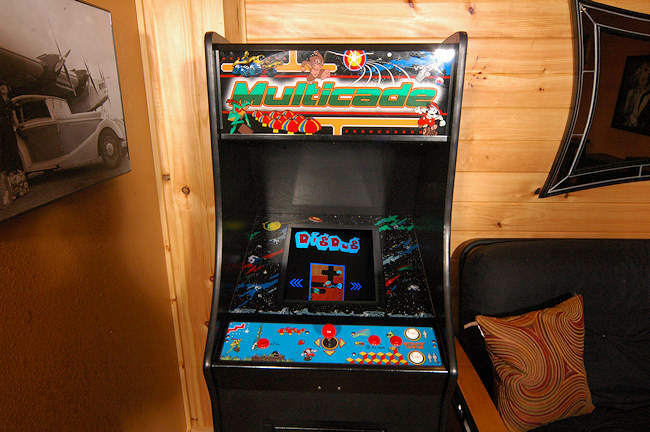 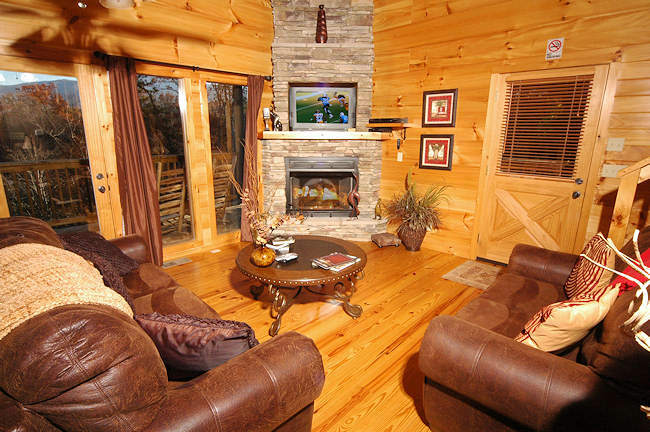 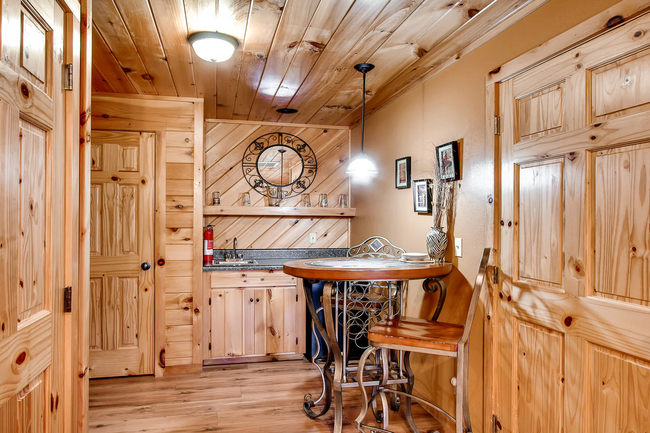 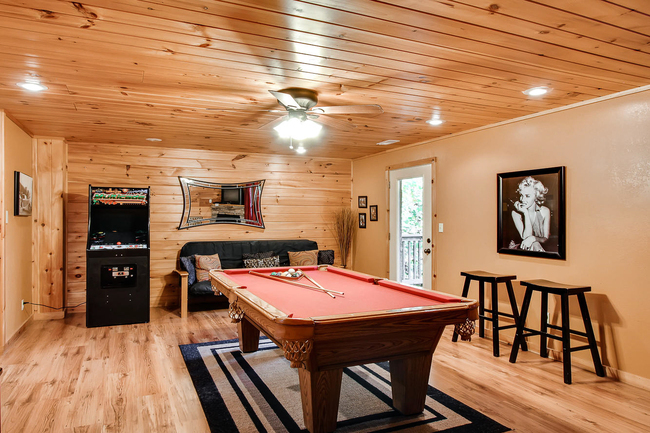 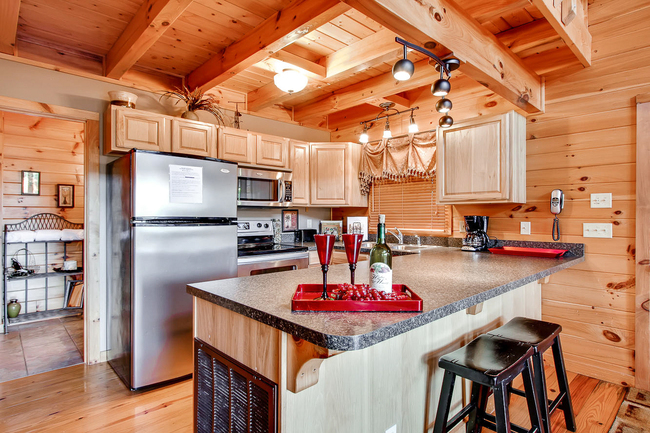 This cabin is fully furnished with luxury features including leather sofas, separate recreation room with Pool Table, Wet Bar and full size Arcade game machine with another stackstone fireplace. 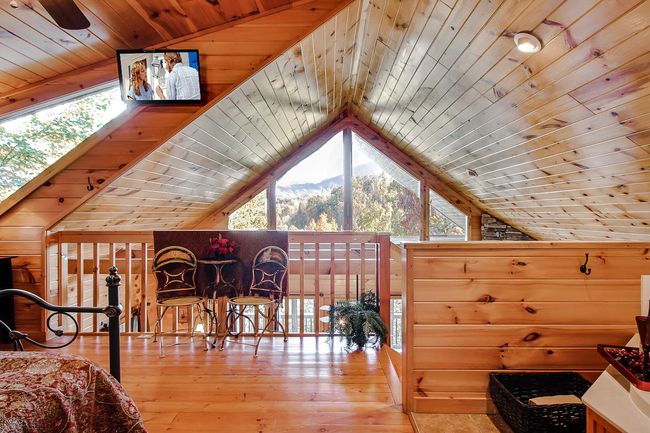 The mountain views from inside are enhanced by the high cathedral ceilings. 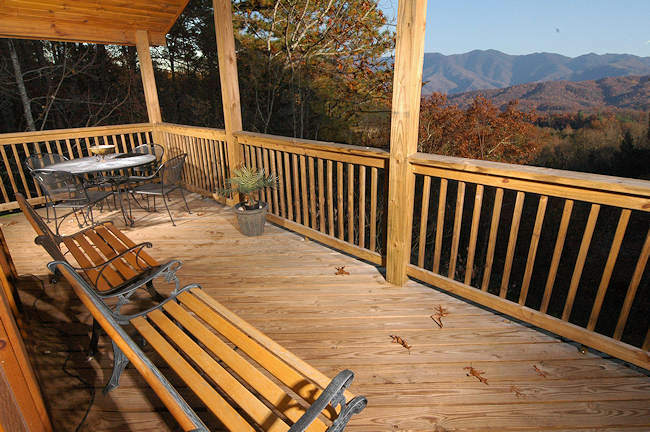 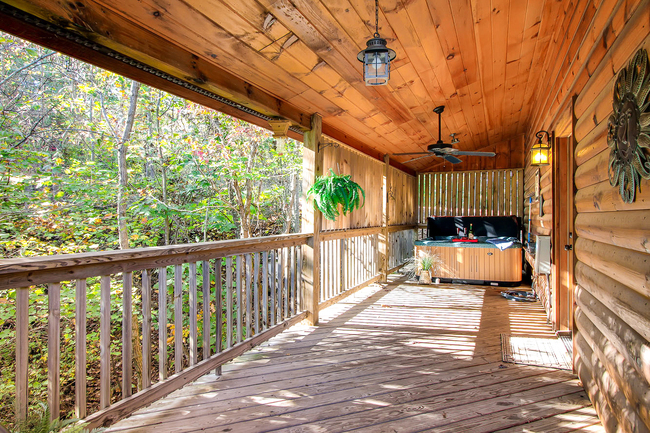 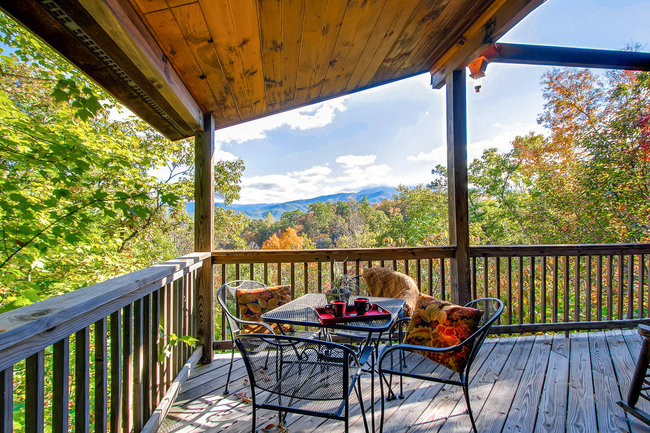 In The Mood is easily accessed, just 5 mins to 321 in Gatlinburg on paved roads and 2 minutes to the Great Smoky Mountain Arts & Crafts Community.